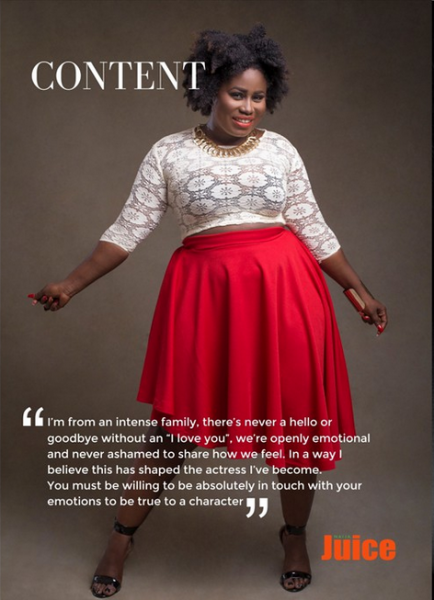 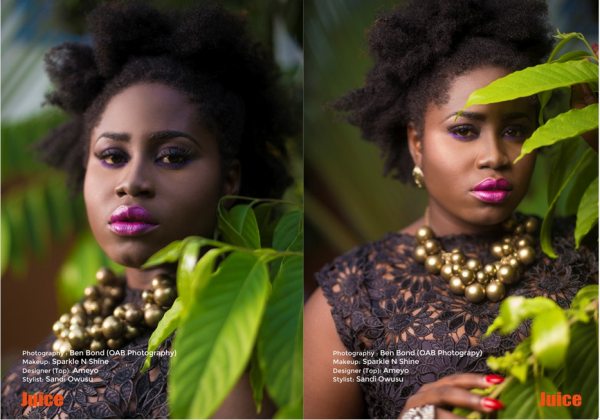 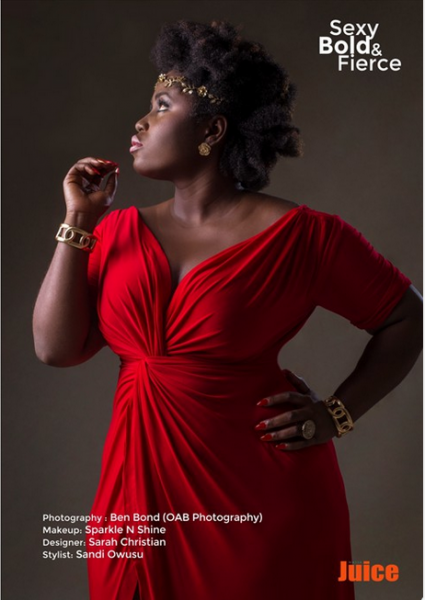 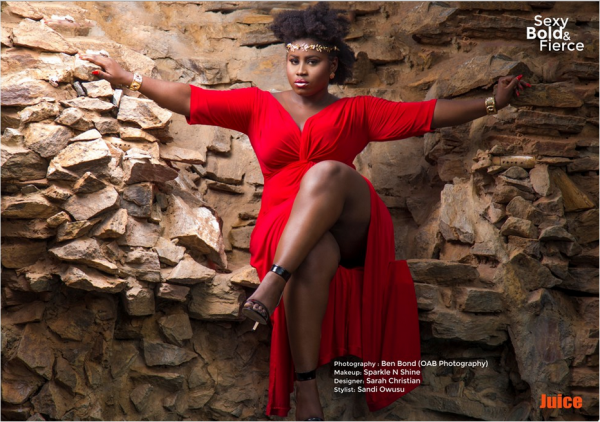 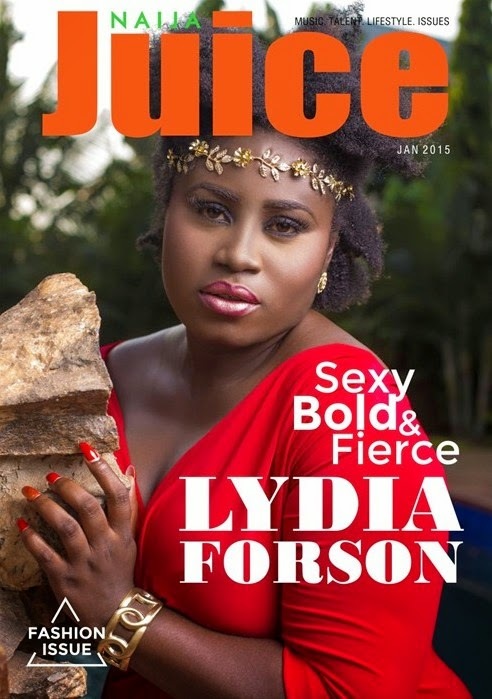 Ghanaian actress, Lydia Forson graces the cover of Naija Juice Magazine’s January 2015 issue. 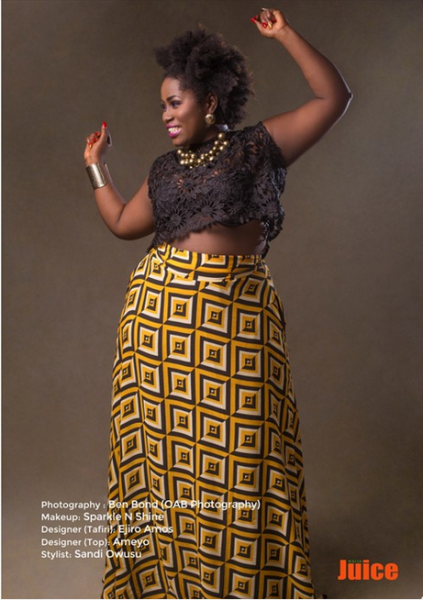 The issue which is dedicated to fashion features the actress rocking some bold statement ensemble. 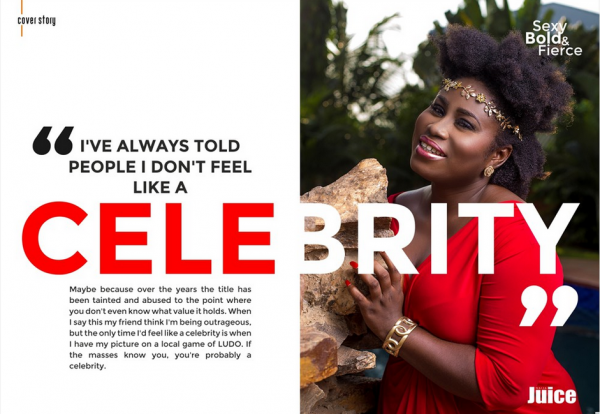 In the magazine, the natural hair Beauty dishes about growing up in an intense family, her celebrity status and much more.